While Intrapreneurs are managing the business of companies with innovative solutions, who is managing the YOUR CAREER, as an Intrepreneur? Certainly a Savvy Intrapreneur would not dream of outsourcing their career development to the company human resources department. 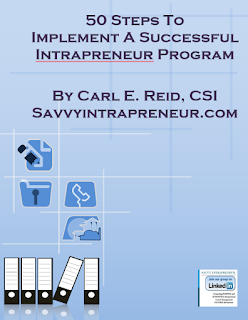 That would go against the grain of Intrapreneurship, with being that rainmaker and solutions focused employee. By all means take advantage of any education, employee resource groups or other new skills development activities provided by the Human Resources department or senior management. Attending company paid conferences are good fuel to propel careers. 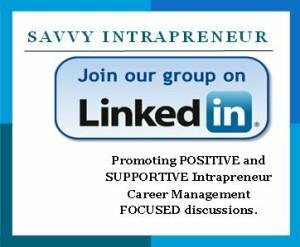 In between helping company executives and CEOs identify candidates and implement Intrapreneur programs, Savvy Intrapreneur provides career management education programs to Intrapreneurs. Ocassionally, we will publish opportunities and resources to position intrapreneurs to make informed business career managent decisions. A good primer for Savvy Intrapreneurs to stay career nimble is the book Crazy Is A Compliment - The Power Of Zigging When Everyone Else Zags by Linda Rotenberg. 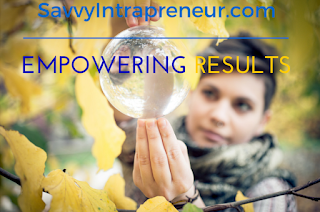 Some Intrapreneurial business intelligence to consider that is coming over your future horizon . . . Create your own job. Developing the habit of scrolling to the bottom of company web sites may reveal hidden gems in the form of opportunities. Business Insider article by Vivian Giang @vivian_giang indicates Freelancers are becoming a dominant force in the workplace.